Nightmare on elm st was the very first horror movie I ever watched I was four when i first seen the movie. And mom said she use to laugh at me bc I would sit and stare at the tv and not movie and she said she even wondered if I even blinked. I now am thirty years old and still love Freddy. 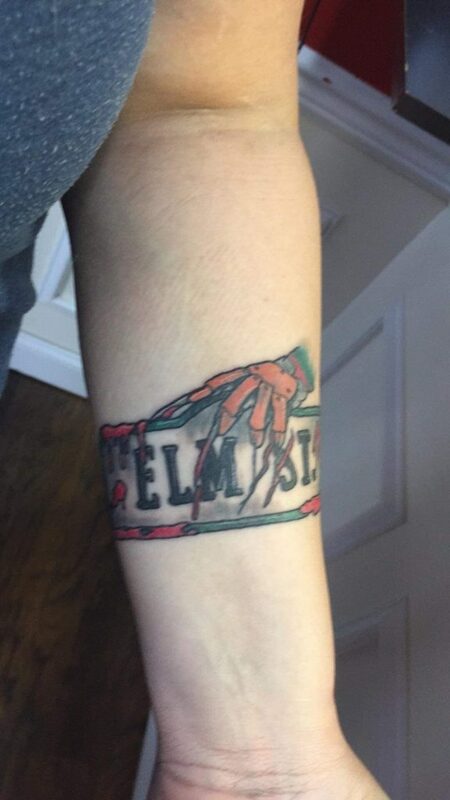 I have two collectors dolls and a poster and now my dream tattoo I have one piece to add to then my nightmare on elm st tattoo sleeve will be complete.